Q. I'm 26 and positive for HPV. Is there any point in my getting the new HPV vaccine? A. There are 30 to 40 strains of sexually transmitted human papillomavirus (HPV). The vaccine Gardasil targets the four strains most closely linked to cervical cancer and genital warts. For women not already infected with these strains, Gardasil is almost 100% effective at preventing genital warts and cancerous or precancerous lesions of the cervix. That's why public health officials recommend that girls ages 11 to 12 be vaccinated — before they become sexually active. 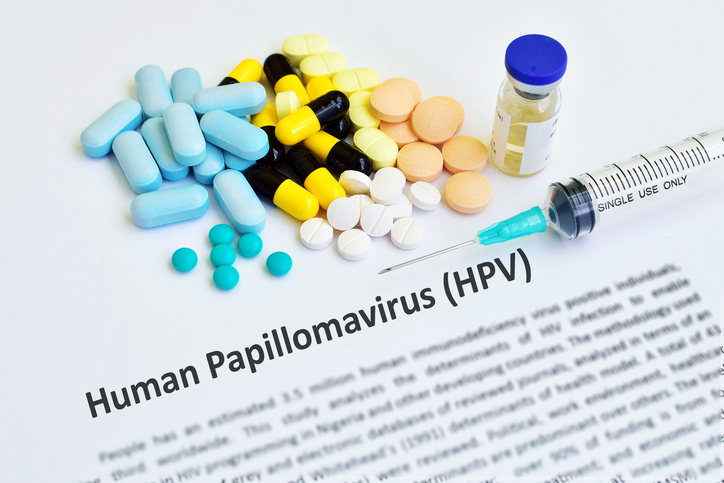 But the vaccine also offers some protection for HPV-positive women, reducing cervical lesions by 17% and genital warts by 35%. HPV-positive women usually aren't infected with all four of the targeted strains. In clinical trials, those infected with one or more of these strains before vaccination were protected against the remaining ones. Gardasil may also work against strains it wasn't designed for, according to a study involving 9,000 women in the original vaccine trials. It not only prevented infection by the four HPV strains it targets, it also reduced by 38% the number of precancerous lesions caused by 10 other strains. Keep in mind that most women under age 30 clear HPV infections on their own within a few months or years. But if you decide to get the vaccine now, realize that it won't eliminate your existing HPV infection. Also, the vaccine doesn't protect against all HPV types, so even if you're vaccinated, you'll still need to have regular Pap tests and pelvic exams. Finally, we don't know how long the vaccine is effective; the longest studies so far have lasted only about five years.